Learn how to master the intricacies of control, automation and multiroom audio with URC's Total Control system in a 2-day practical workshop. Please note: You are required to bring your own laptop, register at the URC Portal and download and install the Accelerator 2.0 software prior to the training. The AWE Smart Home Academy: Whole House Integration with URC Total Control course shows you how to master the intricacies of whole building control, automation and multiroom audio with URC's Total Control system. You will be able to confidently walk away knowing you can program an entire home, allowing you to have Total Control of a number of AV devices and 3rd party systems. 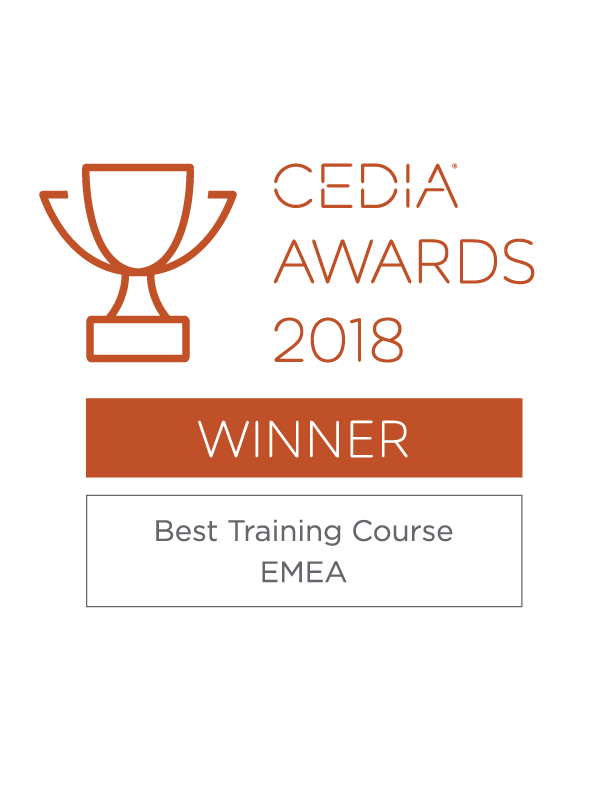 Attendees that complete the AWE Smart Home Academy: Whole House Integration with URC Total Control course will qualify for 7 CEDIA CEU points. "I have had a fantastic URC University training experience. The practical day at AWE HQ was well organised and I got a lot out of it. The day is set out in a relaxed manner, providing us with all the information we need, without overloading us too much. The presenter was well prepared and knowledgeable, answering all questions thoroughly. I walked away with a full understanding of URC remote controllers and how to program them. The online University is unbelievable. I would recommend this resource to anyone. It offers the opportunity to refer back to information when you are stuck with a problem, eliminating the need to always attend a training day – which at the moment is hard to do. The online service and practical training day complement each other very well. Overall, I was thoroughly impressed."